We're back with this week's Friday News! We have a lot to cover off this week. Don't forget to like our post, comment and tag a friend on the corresponding Friday News post on Facebook if you want a chance at winning one of our special Game Icon mugs! Well done to Steve Pickup for winning this week's mug! If you want to see more details on our opening hours, check them out here. Office Break Out Of The Year is now in the voting stages! You now have until midnight on the 7th of April to cast your vote! You can vote on your favourite entry here. 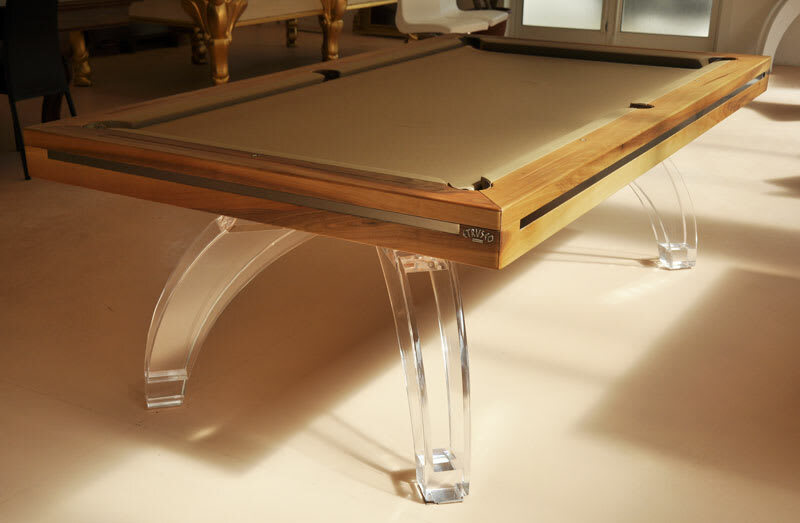 A brand new Etrusco P40 pool table has been constructed in our Bristol showrooms. The table is a beautiful walnut finish, and fitted with stylish legs made from plexiglass. We recently learned that the P40 was recently incorporated into America's most expensive hotel suite in the Palms Casino and Resort! Designed by Damien Hirst, the suite will set guests back an eye watering $100,000 a night! If you just want to try the pool table yourself though, you're always welcome to come and try ours, or even buy your own from us! Check out the suite here!